Around here, March means mud and gaiters. Can’t pass up the sunshine though. The best weather is always the sun and slop after a storm. Those are my long gaiters hanging on my gear wall in this pic. I wore my short ones though – these would have been too hot today. My shins could take a little slush and mud, I just wanted to keep my trail shoes dry. I was comfortable today in summer-thin, knee length running shorts and my Denver Marathon hi tech, long-sleeved jersey – also fairly thin. And my orange Boulder Marathon running hat; very cool not because it looks so good on me but because no one else on Team Prospect has one. No gloves required today on the Lobo Trail. I plan to wear my orange hat at Moab in two weeks, to stand out from my running partners. 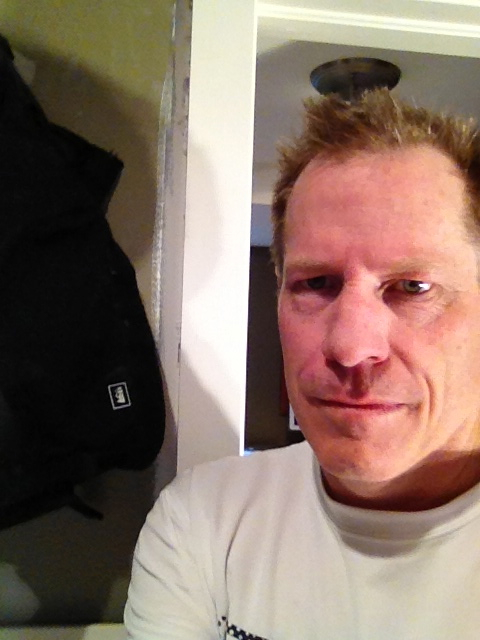 If the weather requires more of a ski hat, I’ll wear my Colder Boulder winter running hat. None of Team Prospect has one of those either. I’ve got the hat situation well covered for Moab. If anyone wears a cooler hat than me, I promise to down a shot of Mescal before the run. Judging will be subjective. I was chatting with Abbie last weekend at the Jagger’s rockin’ cocktail party and she asked me what time I thought I would run at Moab. My best time at Moab is 1:49. I told her 1:45. It was a cocktail party. She responded that she could do that and would plan on starting out with me. She said it suggesting she would take off at a faster pace once she was bored with me. I wonder what hat she plans on wearing. I ran today with Moab in mind, which is to say I bumped up the distance and ran 12 miles. I even ran 8 miles Friday after work. I didn’t plan to run that far but I was feeling good and the sun held out longer than usual. Maybe could have used my headlamp as it was dark near the end but there were street lights once I neared my neighborhood. Today’s run took me further than I’ve ever gone on the LoBo Trail. 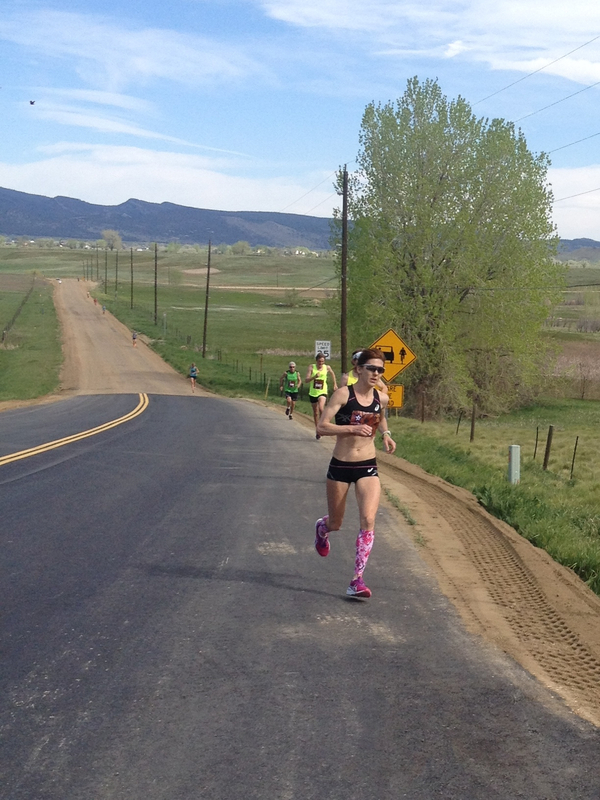 Just past my 5 mile turn-around for my standard weekend 10 miler is the Niwot Loop. I wasn’t familiar with it and almost ventured into Somerset a couple of times. They have signs posted declaring their trails for their exclusive use. Seriously. Whatever, it’s been a good day. Started by meeting Brittany for brunch in Denver at Panzano in the Hotel Monaco. Karen and I made the drive in order to drop our leather coats off for repairs and cleaning at Coronets on York Street. Pretty drive past City Park. We did a short walk after we returned home and then I got in my two hour run. Ribs have been slow cooking in the crock pot since before we drove to Denver. Karen is cooking a rice and broccoli casserole to go with the ribs. Later, it’s date night. We’re going to see Silver Linings Playlist – or something like that.